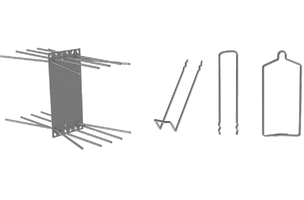 SPA sandwich panel anchors and FA flat anchors. 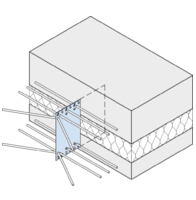 In both systems the support armature assume the function of transferring the dead weight of the front panel, and a proportion of horizontal forces from the effects of wind and temperature into the base course. Two FA support anchors are usually enough for this. If using two FA anchors, they should be symmetrical to the fulcrum in every direction. Another bearing anchor should be inserted as a horizontal anchor, perpendicular to the main direction of the load. Additional, officially approved connector pins and/or connector brackets or clip-on pins are installed in the remaining area of the plate to transfer the horizontal forces and prevent the facing layer from warping. When properly arranged, they minimise the constraining forces caused by from thermal expansion and warping of the facing layer through the construction of the FA anchor. 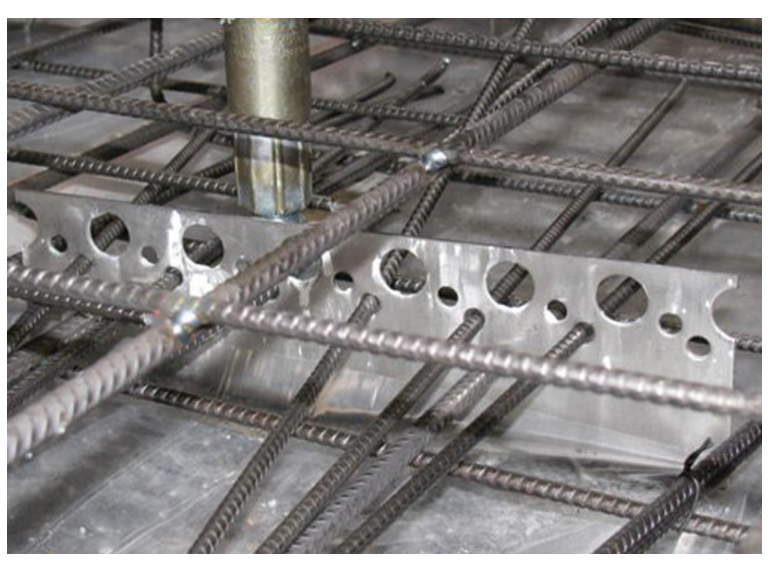 Through the round holes in the anchor ends the FA can be securely tied to the existing reinforcement before pouring in the concrete, by using reinforcing steel sections.